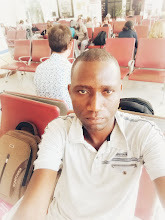 Where can I withdraw Paypal money in kenya?Which bank accepts PayPal?Quick way to cash out PayPal money in kenya.These are FAQs by Paypal account holders who are mostly the Kenyans doing the freelancing businesses. Equity Bank,the largest lender in kenya went into a second phase partnership agreement with Paypal this year which made it easier for Paypal and Equity Bank clients to link accounts and transfer funds online.Now the lender's customers with PayPal accounts can withdraw their online money within three business days instead of eight days as happened previously. 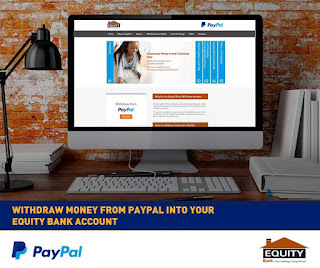 Paypal to Equity bank money transfer service is only available to active KES,GBP,USD and EURO transactional personal or business accounts.The maximum amount to transfer is $10000 or kes1000000 or its equivalent in the form of other currencies. On the menu click "Banking services"
Enter your nominated bank account and click "Link Account"
Enter the OTP and click "Confirm OTP"
If successful, a confirmation message will be displayed “Account has been successfully linked. Enjoy our Online Banking services"
On the menu list click "PayPal Services"
Enter your PayPal email address, select the bank account added in step 4 above and click "Link Account"
You will be redirected to PayPal window pop up. Key in your PayPal Account Password and click "Authorize"
On the PayPal Services Menu, click "My PayPal Balance"
Select your linked PayPal account and click "Submit request"
On the PayPal Services Menu, click "Withdraw Service"
Select your PayPal account linked previously"